The Rose Center is a locally, phyiscal-therapist owned private outpatient facility that specializes in many unique, exceptional and distinctive treatment options. 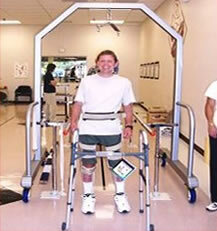 Using evidence-supported practice techniques and individualized, patient-centered approaches, The Rose Center sets itself apart in the treatment of a vast array of physical disabilities, injuries and functional limitations. With a 3,400 sq ft, fully wheelchair accessible treatment area, The Rose Center offers specialized treatment of: brain and spinal cord injury rehab; neurological disorders, including Parkinsons and stroke; vestibular and balance conditions, including BPPV; geriatric and general orthopedic impairments including back/spine, shoulder, hip and knee; total joint and post-operative therapy. 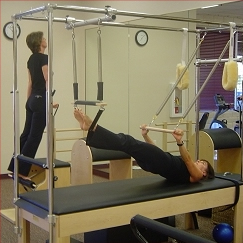 The Rose Center also offers Speech and Occupational Therapy, Pilates-certified exercise rehabilitation and the "Back in Swing" golf rehab, fitness and performance progam.